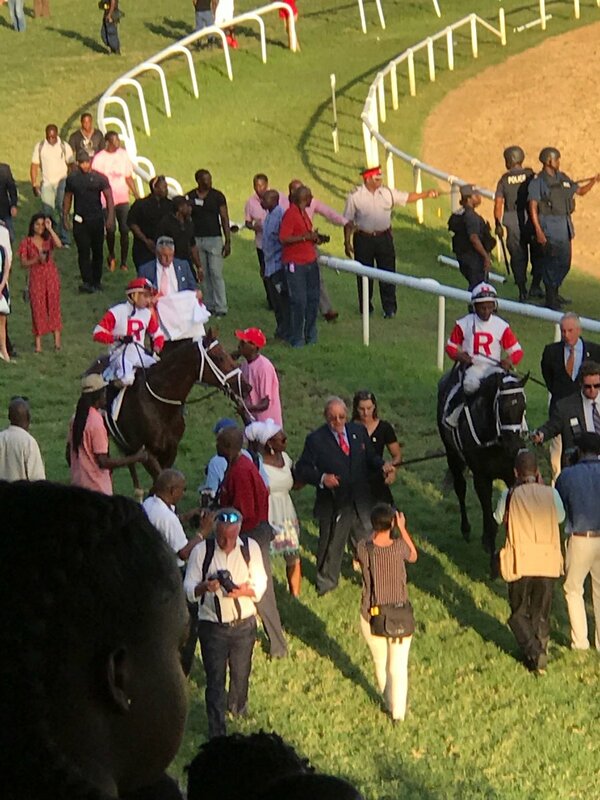 Sir Dudley Digges (Queen's Plate winner) just won the Barbados Gold Cup over Shining Copper. Congratulations to the Ramseys and Mike Maker. Ken Ramsey all smiles between Barbados Gold Cup winner Sir Dudley Digges and runnerup Shining Copper. Gettysburg finished 4th beaten by 1 1/2 lengths, on March 3, 2018, at OAKLAWN PARK in Race 9. Treatment for a partially descended testicle has Gunnevera training far more enthusiastically these days, reports drf.com. The 4-year-old son of Dialed In has put together a pair of five-furlong works the past two Saturdays, the first in :58.60 and the most recent in :59.40. My favorite grey-tailed Cal-bred earned his first stakes win in the Sensational Star today. This race gave us an example of both the highs and the lows racing provides; 'Sunday's first stakes win and Masochistic's last-place last race. BaroqueAgain1 wrote: My favorite grey-tailed Cal-bred earned his first stakes win in the Sensational Star today. I'm a big fan of Tough Sunday and he won me some money yesterday too... Masochistic, not too surprisingly, was retired after his race yesterday. The connections said he'll be re-homed and trained to be a trail horse. No love for City of Light after his impressive win in the Triple Bend? Work tab was not a misprint. Grade 1 winner Ralis is back in training (3F in :37 today) after being retired last year w/a tendon injury. Doug O'Neill: “Over time the tendon got better--looked fantastic 4, 5 months ago. His stride is back, his energy is back, his health is back." Translation, no one was interested in him as a stallion. Hope he holds together.